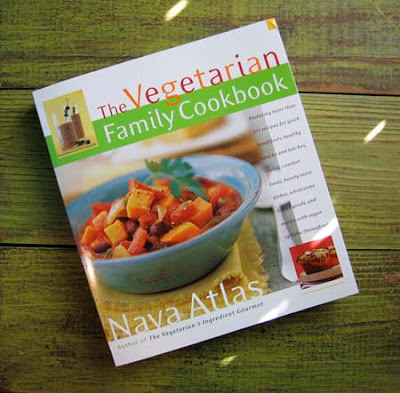 Nava Atlas [one of my favorite vegetarian cookbook authors] was kind enough to send me a copy of The Vegetarian Family Cookbook. Babycakes, where do I start? This hefty tome is chock full of fresh and fabulous recipes - more than 275, in fact - from breakfasts and snacks to comfort foods, main dishes and desserts. What do I like? I like that her recipes are doable, and not based on hard-to-find ingredients. In fact, most everything she uses is already in my pantry. I like her tips in the Introduction about being a vegetarian, planning meals for a family, and cooking within a busy schedule. I like that there are vegan options throughout the book (perfect for all you non-dairy and egg-free cooks out there). Nava's style of cooking reminds me of my own, and her approach to recipes is akin to my own philosophy: use fresh, seasonal ingredients whenever possible, and go for simplicity. I'll be inspired for months to come. For those on gluten-free diets there are lots of tasty sounding recipes that are naturally gluten-free and others that are easily tailored- substituting wheat pasta with brown rice pasta, for instance. Obvious ingredients to avoid on a gluten-free diet include bulgur, barley, cous cous, seitan, flour tortillas and various breads, of course, but I'm guessing any savvy celiac can spot these, and either switch out a safe substitute, or move on to another recipe [and there are plenty] focused on vegetables, fruits, cornmeal, rice and quinoa. If you're brand spanking new to this whole gluten-free diet thing, you might want to become a little more fluent in cooking gluten-free before you tackle a non-gluten-free cookbook like this, but if you're at all like me, Darling, you prefer to experiment and educate yourself rather than looking to be spoon fed. 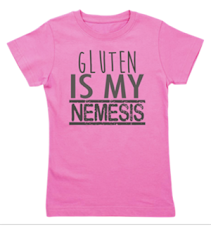 I personally enjoy [and cook from] a wide assortment and range of cookbooks - and none of them are "gluten-free". In fact, Dear Reader, I don't even own a gluten-free cookbook. I haven't found any so far that capture and evoke my personal approach to cooking. I'm more inclined to peruse cookbooks like Nava's, and those by Susan Curtis, Barbara Kafka and Jamie Oliver. 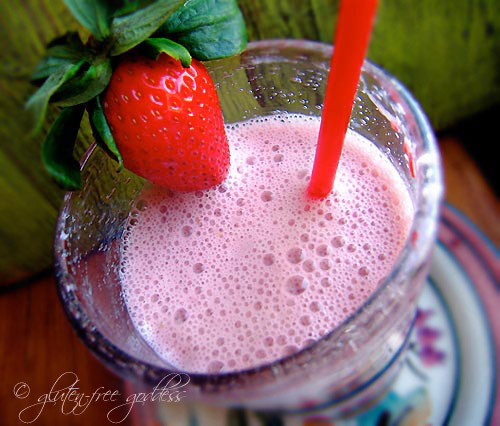 Recipes I'm looking forward to trying? How about her Cabbage, Apple and Raisin Slaw, Scalloped Cauliflower, Skillet Black Beans with Potatoes and Tortillas? Sounds yummy. And I might even be brave enough to try tackling Vegetable Sushi. Stay tuned. ©2005-2010 Karina Allrich. All rights reserved. You must try the sweet potato chili (pictured on the cover). It's great! I third - I found out from the Santa Fe chili that sweet potatoes in chili rocks. Have you ever made your bean and butternut chili with sweet potatoes instead of butternut? I keep craving a mixture of sweet potatoes and black beans (maybe with some dark greens mixed in) but have been reacting badly to most forms of corn recently so I can't make enchiladas. Hi Michelle! Yes, actually we will often sub the butternut with diced sweet potatoes - we did that last week. The sweet potato-black bean combo is so yummy. I'm sorry to hear about the corn issue. Are you 100% sure the corn/polenta/tortillas you had were gluten-free? I ask because I once used Bob's Red Mill cornmeal-polenta believing it was GF, and it is NOT. 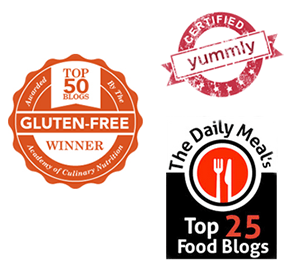 Cross contamination issues with corn is a major problem for celiacs.